Lascaux is the most beautiful and the most lavish of all the adorned prehistoric caves . But is there really such a thing as prehistoric "art" ? Who were the painters of Lascaux ? How to explain the striking stylistic unity of certain clusters, or the contradictions between similar figures that may be painted in different periods? The images themselves can only astonish and provoke questions. Lascaux furnihes evidence of refined knowledge and skill, which reflect a much more capable and complex prehistoric civilisation that we have yet imagined. The technology put to use in this film - computer graphics and special effects - facilitates a deeper investigation of the images. While comparing several hypotheses and expounding on the latest theories, the film also provides an encounter with a mythical, unfathomable site that continues to fascinate us. 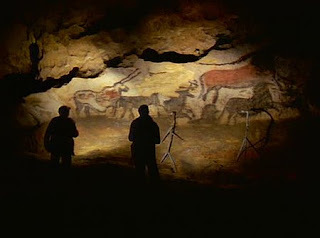 Days long gone was the first film about the discovery of Lascaux by children from the village of Montignac. The village school teacher appears as himself in this short film, shot in 1942. 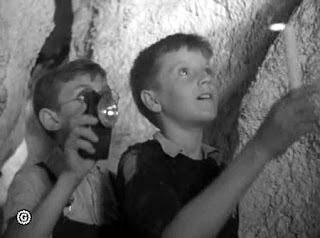 In the Dordogne of World War II, equipped with candles and pocket torches, the children stumble upon the most fabulous cave paintings of the Old Stone Age. 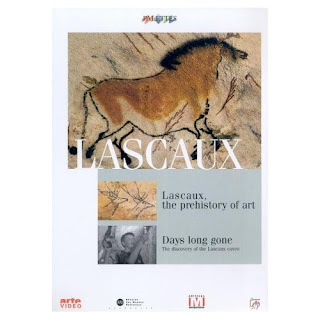 This exeptional and unprecedented document was made a year after the discovery of Lascaux.